Printed stickers and labels in Sheet form and Roll form. Stickers in reel form can be printed for bulk orders. Hot stamped stickers, both in Matt and gloss finish are possible. Maximum width for roll form stickers is 11 inch. Roll form labels and stickers are best suited for automatic application on bottles. Diwali Sweet boxes. 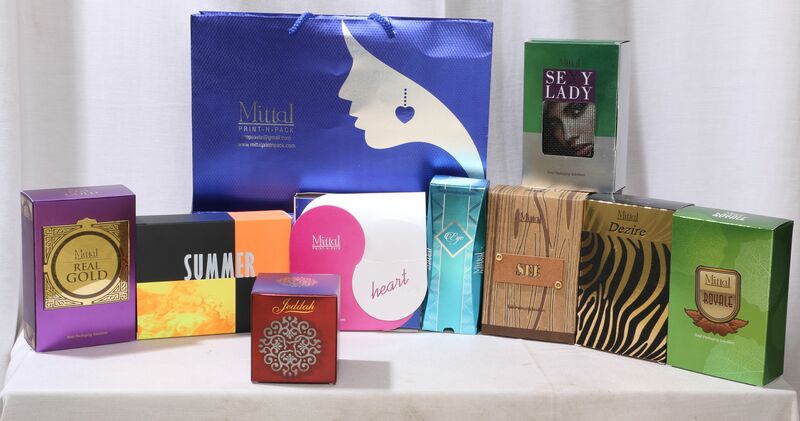 Special rigid boxes used for gifting chocolates and sweets. Window display boxes to offer see through inner product. Mithai boxes with window and partition. Partition matches top and bottom lid of the box. This is printed on metallic glitter paper, which gives it shine and metallic effect.